Eczema is a general term for skin conditions that result in discolored, inflamed and itchy skin. Typically dry, red, inflamed skin that may develop blisters or form crusts, it brings about almost unbearable discomfort. 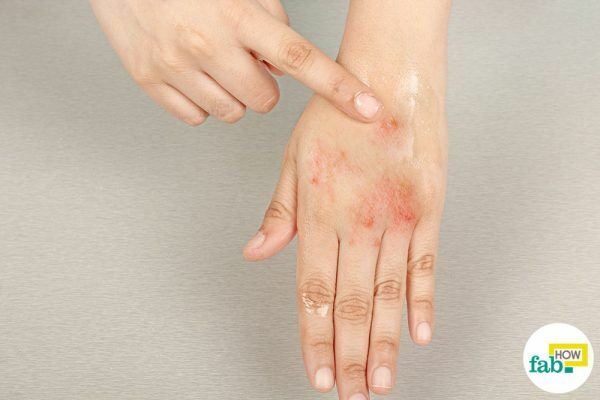 While there is no substantial evidence on the exact cause of eczema, allergies, excessive stress, irritants, change in weather, microbes and hormonal changes are believed to be the major contributors. 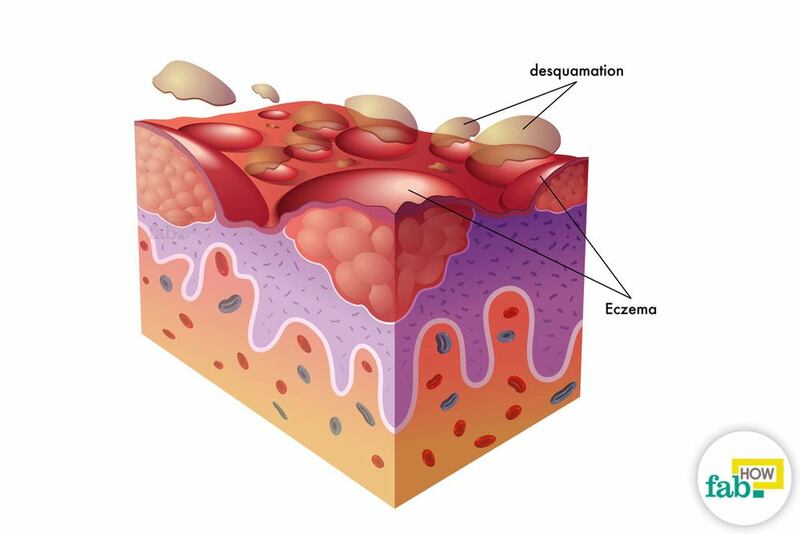 The major symptoms of eczema include itching, redness, dryness, rashes or dark rough patches on the skin. The condition usually appears when your skin produces less fats and oils than it should and loses its ability to retain water. The space between the cells widens and your skin begins to lose water from the inner dermis layer, paving the way for irritants and bacteria. Thus, it is recommended not to use soap or any other detergent on the skin, as they strip away the lipids produced by your skin. While there are commercial lotions and medications available to help you with the infection, the marks of the condition do not go away easily. 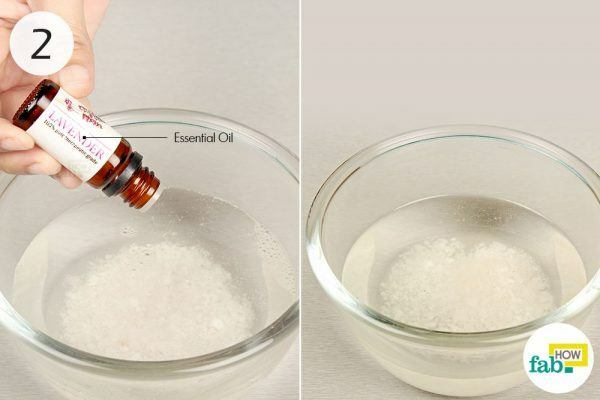 So, here are some home remedies (cure that works) to help you get rid of the eczema. Coconut oil contains antimicrobial, antifungal, antioxidant and antibacterial properties that help reduce the inflammation caused by eczema by a considerable extent. Moreover, it contains lauric and caprylic acids and vitamins E and K that help with flaking and itching while simultaneously nourishing your skin. Coconut oil is also one of the best moisturizing agents for your skin and helps restore the protective layers of your skin, thus promoting a smoother and quicker recovery. 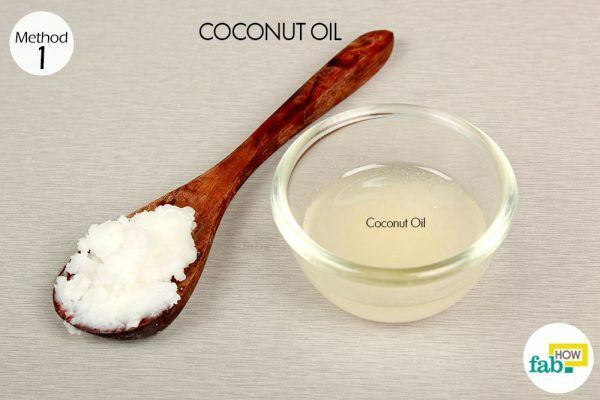 Put a small amount of coconut oil on your palm and apply it directly over the affected area. Permit it to dry on its own or leave it on overnight. Use the treatment once every day for as many days as needed until the symptoms are gone completely. 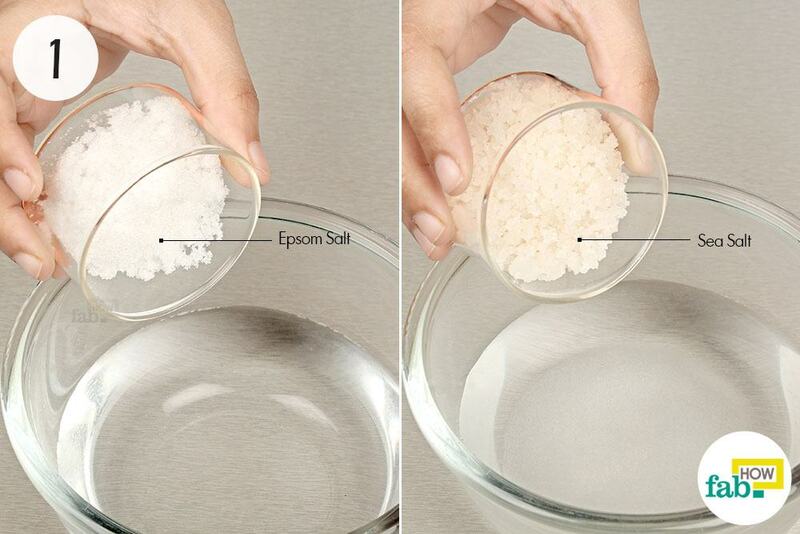 Add 1 tablespoon each of Epsom salt and sea salt to a bowl of water. Mix thoroughly so that the salts completely dissolve in the water. Pour a few drops of your favorite essential oil into the salt solution and mix thoroughly. Soak the affected area in the salt solution. Repeat the treatment twice daily per week until you achieve desired results. Apple cider vinegar (ACV) contains malic acid, a component that has antibacterial, antifungal and antiviral properties. 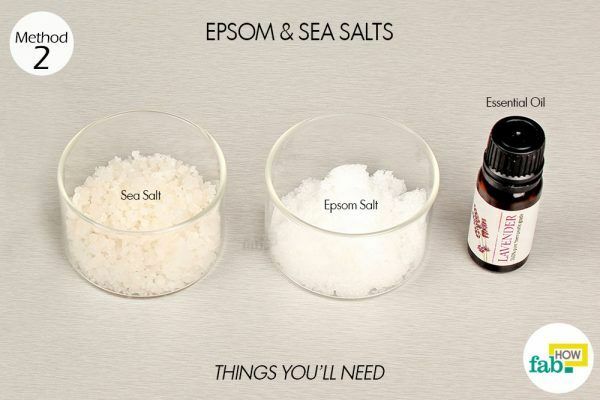 This makes it an ideal remedy for curing and soothing skin damaged by eczema. 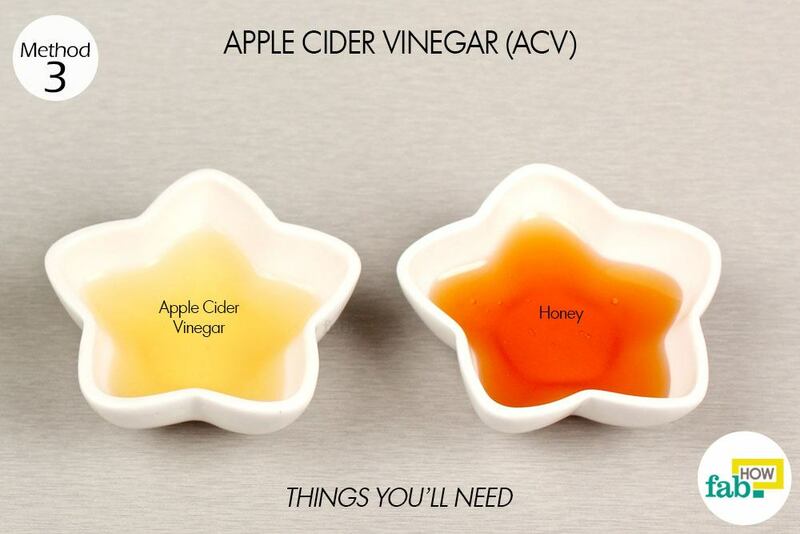 In a small glass of water, add 1 teaspoon each of ACV and honey. Repeat the remedy once a day for up to 1 week or until you see a difference. Alternatively, you can also apply apple cider vinegar on the affected area. 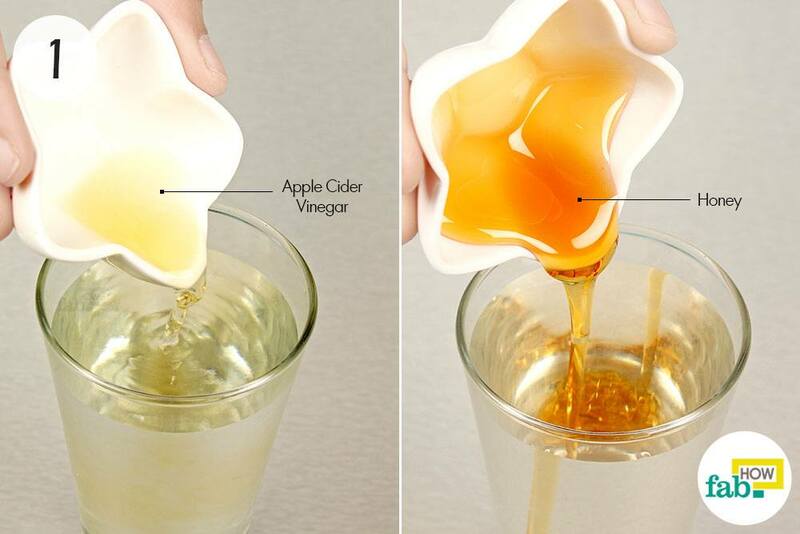 For this, use diluted ACV. Mix ACV and water in equal quantities for normal skin, whereas for sensitive skin, add 1/4 cup of vinegar to 3 cups of water. Repeat twice daily until you see a difference. Aloe vera contains excellent anti-inflammatory, antimicrobial and healing properties that help soothe and cure the inflamed eczematous skin. Moreover, aloe vera is packed with phytochemicals and other compounds that help soften and moisturize the damaged skin and alleviate symptoms like dryness and scaling as well as any other secondary bacterial infection. 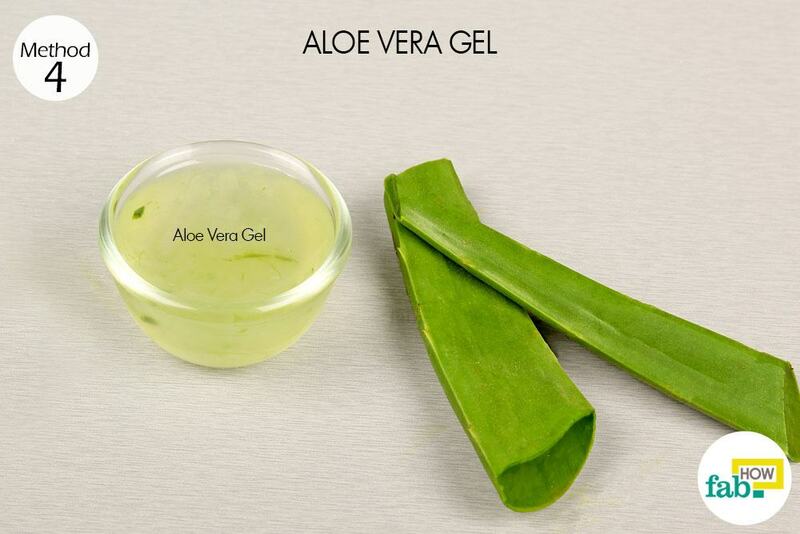 Extract the gel from a fresh aloe vera leaf and soak a cotton ball in it. Dab the gel over affected skin and let it dry on its own (at least 30 minutes). Repeat 3 times a day for up to 2 weeks to see effective results. 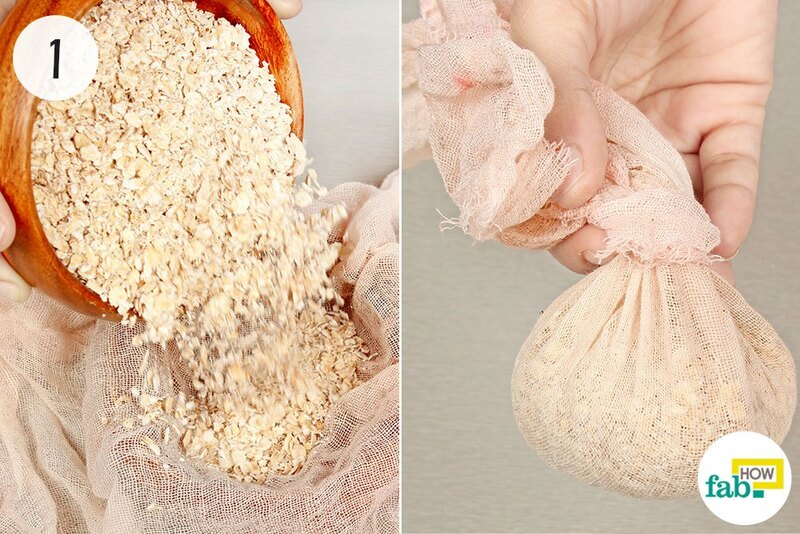 Oatmeal is another effective ingredient that helps moisturize and soothe your skin. It contains chemicals and compounds with anti-inflammatory properties that help relieve discomfort and itching caused by eczema. 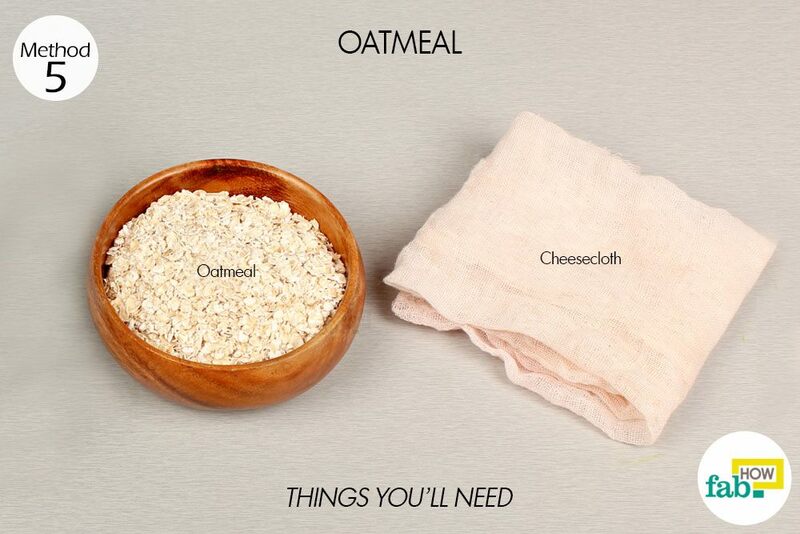 Pour some oatmeal into a cheesecloth or a muslin cloth. Gather it into a bundle and tie it securely. 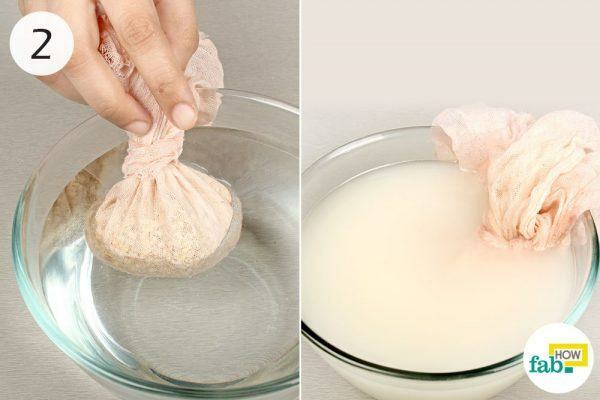 Immerse the oatmeal bundle in a bowl of water for 10 to 15 minutes, until the water turns milky and smooth. Soak your affected skin in the milky bath for 10 minutes. You can let the bag of oatmeal float in the water while you enjoy the bath, just squeeze it now and then to get more of the good stuff out of the oats. Gently pat dry with a clean towel and finish with your usual moisturizer. Repeat 3 times a week for a few months to notice improvement. Placing ice cubes (wrapped in cloth) on the affected area is one of the best ways to relieve the burning sensation and itching caused by eczema. As the ice cubes melt, the moisture helps hydrate the skin. Alternatively, you can use a bag of frozen peas as a cold compress. 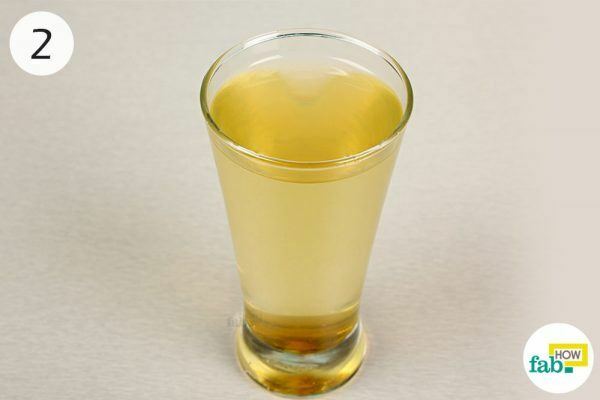 In case of chronic eczema worsened by staph infection, take a diluted bleach bath. 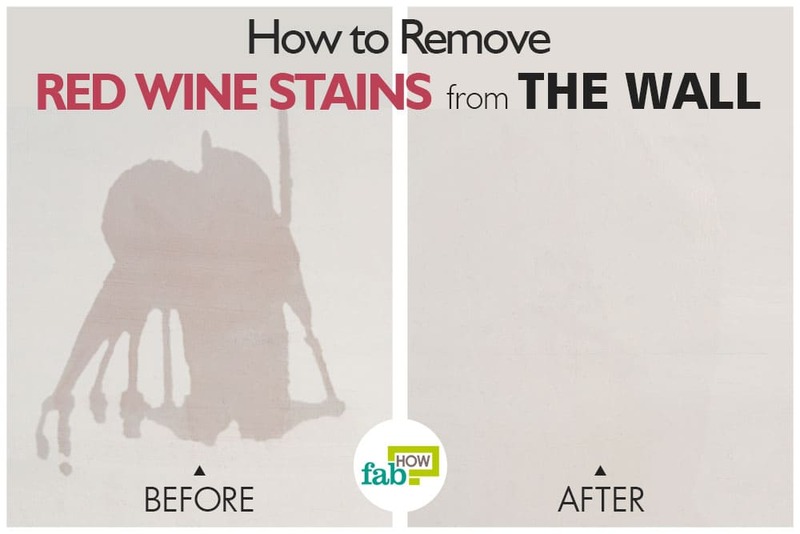 For this, add ¼ to ½ cup of bleach to a bathtub with lukewarm water (you can use regular chlorine bleach). Just soak in the solution for about 10 minutes, at most twice a week.